Everyone needs a denim skirt staple in their lives! Show off those legs all season long, this bad boy is super easy to dress up or down depending on the occasion. 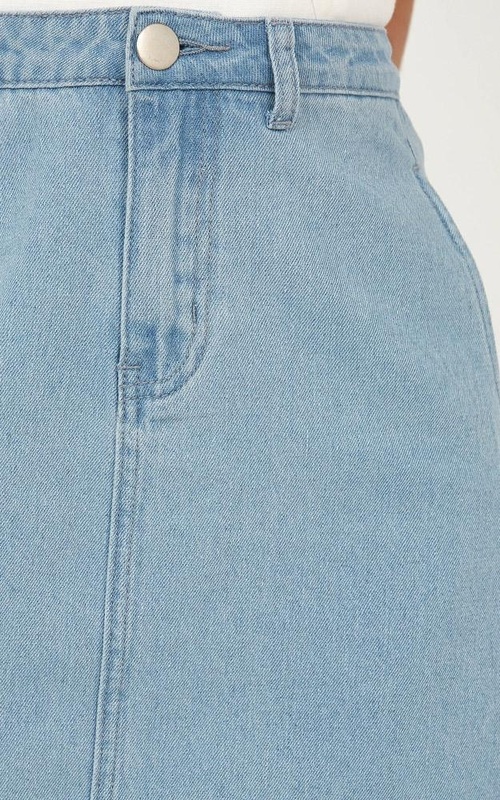 It’s a lovely thick denim - it definitely has very little to no stretch though. But it is a beautiful skirt and pretty true to picture. It also has deep pockets!